Mid Ireland Adventure is a start-up company addressing the growing demand for adventure sport activities in rural locations. Company founder Jonathan O’Meara identified a gap in the market in the Offaly region, alongside strong natural amenities to base adventure sport activities. 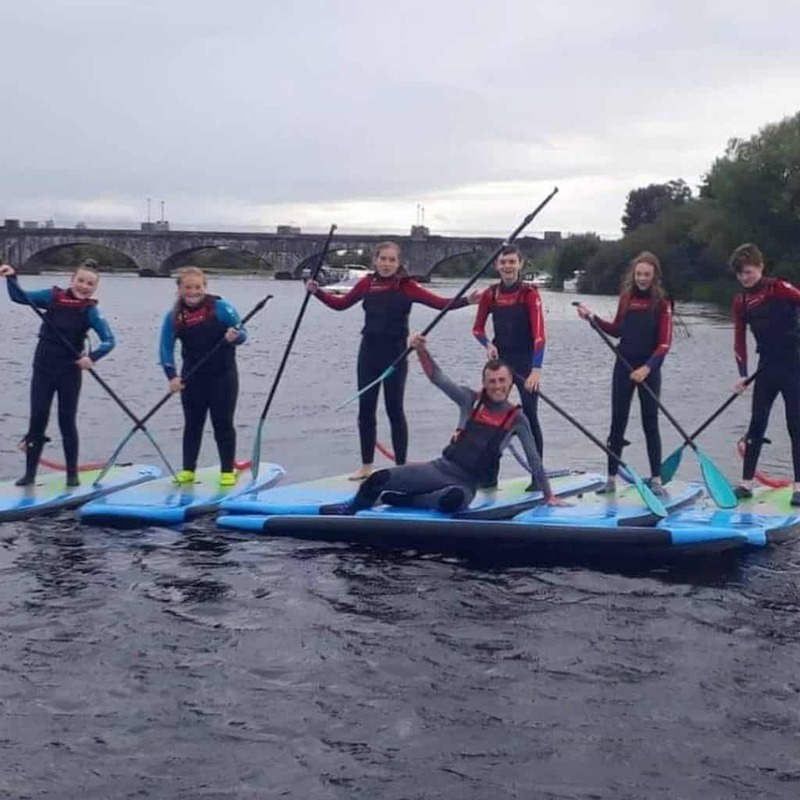 LEADER funding supported the development of Mid Ireland Adventure facilitating the purchase of essential equipment such as mountain bikes and paddle boards. This growing business now provides a range of adventure sports activities to a diverse local and international client base. This includes mountain bike tours in the Slieve Bloom Mountains and stand up paddle board safaris on the River Shannon. Mid Ireland Adventure serves a gap in the local market for a tourism product based around adventure sports. The business also taps into wider trends of active lifestyle and demand for rurally based weekend adventure sports activities. The business capitalises on and harnesses the untapped value held within the midlands environment to develop an adventure sports business. Economic impacts include the new rural employment created. Jonathan is the main employee of the company and one seasonal position was created in 2018. As the company grows future job creation is expected. The mountain bike trails under construction in the Slieve Bloom mountains will also facilitate this, improving the local outdoors sports infrastructure. Mid Ireland Adventure attracts greater visitor numbers to the midland’s area, which does not have the visitor volumes of busier tourist regions. The company’s adventure sport activities have attracted a local, national and international client base to the region. International clients have come from a diverse geography, such as Europe, the US and South America. Activities are also tailored to the needs of specific client groups and occasions, such as birthday celebrations, stag and hen parties. Increased visitor numbers also have additional spin-off benefits to the local economy. For example, Mid Ireland Adventure’s mountain bike tour finishes in Kinnitty village with coffee and scones at a local café. Visitors also use local retail, hospitality and accommodation services. A strong, supportive local business network also exists in the area. For example, tourist service providers help promote each-others services helping build the local tourist economy. The positive spill-over impacts of Mid Ireland Adventure’s presence in the Offaly region go beyond economic benefits. Mid Ireland Adventure supports increased local environmental, cultural and historical awareness as part of its activities by also building an educational element into tours. It has also added new life to Banagher town. This project was supported as part of the LEADER Programme 2014-2020 under Theme 1 ‘Economic Development, Enterprise Development and Job Creation’ and Sub Theme ‘Rural Tourism’. The Local Action Group is Offaly LCDC and Implementing Partner Offaly Local Development Company.